Denali, or Mt. McKinley, and reflection. “Denali”, officially known as Mt. 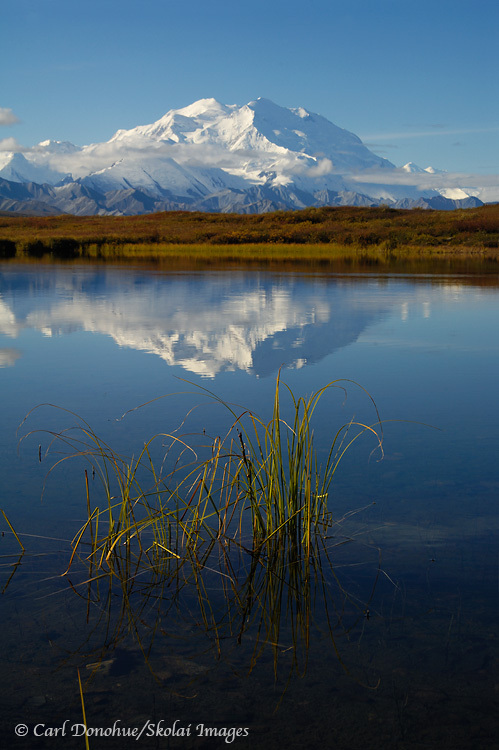 McKinley, the highest peak in North America, stands above the Alaska Range, a small kettle pond returning a perfect reflection. Denali National Park, Alaska.